Coca-Cola, nosejobs, paint-by-numbers, dance diagrams, dollar bills, Campbell's soup, Marilyn Monroe, Elvis Presley, Elizabeth Taylor, car crashes, flowers, Jackie Kenedy, Brillo boxes, Mao, and Joseph Beuys. From 1961 to 1986, Andy Warhol produced and reproduced each of these images many times over. 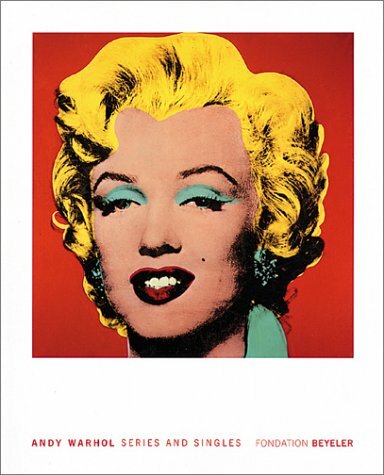 This volume is a compilation of Warhol's most popular series. Andy Warhol started out as a very successful commercial illustrator, and became a painter, photographer, printmaker, film and video maker, magazine publisher, author, and celebrity. He had his first art show in 1962, at the Ferus Gallery in Los Angeles which showed his 32 Campbell's Soup Cans. From that point on Warhol's work revolutionized the art world.